This past October, the Brooklyn-based nonprofit UnionDocs convened a weekend workshop called "Speculations in the Archive," a sold-out gathering that explored the archive's potential to spur imagination and invention. The idea was to widen the parameters of archival filmmaking by considering "multiple practices of truth-making," including the sorts of speculation that cross over into fiction. Though conventional documentary makers have diversified the range of materials used in docs since the days of the newsreel, many would be taken aback by more openly speculative use of archives. But in looking at the work of the filmmakers who participated in the UnionDocs workshop, it's clear that documentary's grounding as "real" and indexical allows for a wide range of stylistic experimentation. Courtney Stephens, the LA-based filmmaker and programmer who led the workshop, recalls talking to a friend about approaches to the archive, and being struck by the idea of "reverse adaptation." What if, she speculates, "Instead of taking a literary work and then adapting it as a narrative film, you adapt something that had no narrative content and draw narrative content out of it?" She mentions court records as an example. "Maybe one approach of trying to tell history is where you don't have all the information," she continues. "Make that your foreground. You can say, 'Either I couldn't find what I was looking for or I didn't know what I was looking for.' And if you start from those places, as opposed to a kind of model of expertise, what happens if you erase any pretense of mastery?" In its own way, a film like Ida Western Exile, a short Stephens made in 2014, operates from a place of limited mastery. 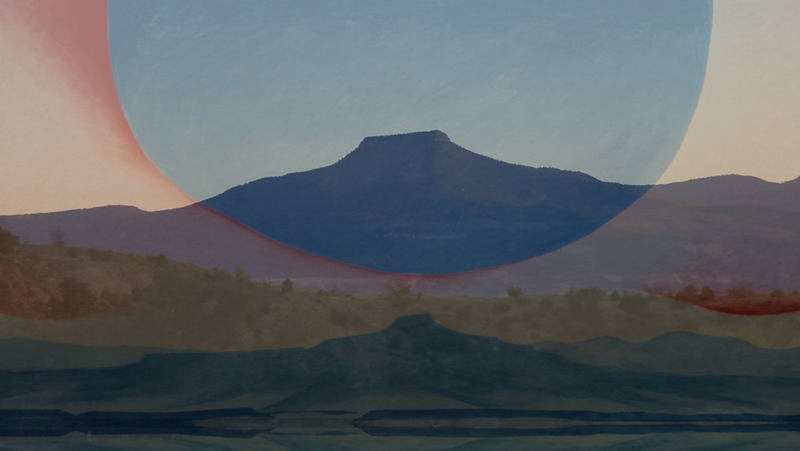 The film combines footage shot at Georgia O'Keefe's Ghost Ranch in New Mexico, archival materials from the O'Keefe museum in Santa Fe, YouTube clips and images of Hong Kong commuter trains. Its name comes from Georgia O'Keefe's sister, Ida, about whom little is known. "I think when you run into a situation where all you can do is speculate because there's missing information, that is a hugely potent area," Stephens maintains. Stephens is currently working on a project about metadata and tagging systems, which she describes as "a whole new way of giving but also withholding access, through these descriptive systems that have their own idiosyncrasies. It might be that the first minute of some 10-minute reel is somebody filming waterfalls in some country and so the film is tagged 'waterfalls.'" But the necessity of tagging the reel with a single word for ease of storage can also obscure what makes the material so interesting. In the "waterfalls" reel Stephens is referring to, "You have all this footage of [the couple] there, but you also have all this footage of a marriage. There’s all this stuff within it, of husband filming wife and wife filming husband and their sense of an interplay. But none of that would be taggable. None of that is just archival. That's all about my own curiosities, you know, or what I'm sensitive to." Stephens' curiosities rarely involve the sort of discoveries that call attention to their own historical value. "I like things that are vague so they're not just, 'Boom, this is crazy!'" As a counterexample, she mentions Marshall Curry's recent Field of Vision documentary, A Night at the Garden, compiled of archival footage of a 1939 German-American Bund rally that took place at Madison Square Garden. The film is brilliant and shocking, but its rediscovered footage telegraphs an immediate sense of its own importance. "I'm not so much working with stuff that is evidentiary," Stephens says. "That's really important, often political work…[but] I'm rarely looking for proof." In short, Stephens' interest in probing the historical record focuses squarely on the gaps. "I think where a lot of this new work is coming from is an inquiry into missing descriptions of the world and missing histories and missing visibility and missing records. I mean, Who gets to describe the world?" Another prominent participant in the UnionDocs seminar, Kevin Jerome Everson, was less comfortable being included as part of a new movement. "I've used found footage, but I'm not an archival filmmaker," he asserts. 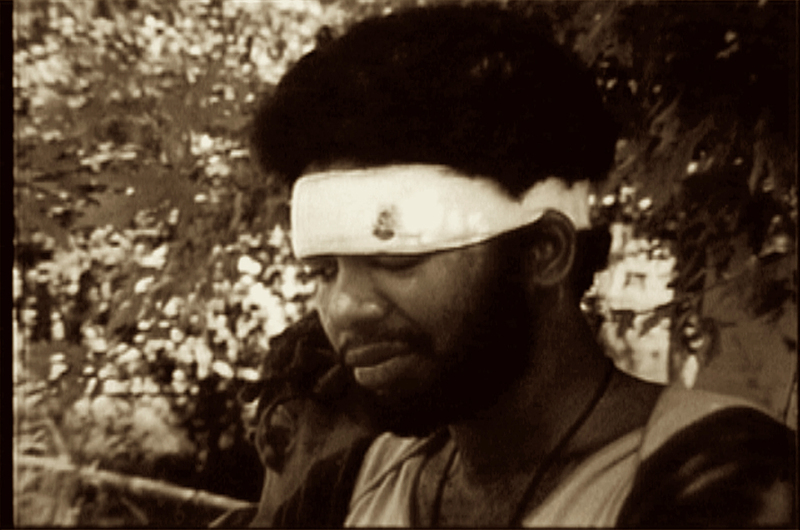 Everson's early work with found footage turned the difficulty of finding filmic records of daily African-American life into an aesthetic gesture. In an experimental feature like 2008's The Golden Age of Fish, Everson combines scripted scenes with old 16mm news footage, narratively likening the process to that of a geologist collecting and reassembling skeletons whose anatomy is a matter of educated speculation. Everson demurs from characterizing his found-footage work as necessarily archival. "That's not how I see it. I see it as like a Duchamp, like an art object. I see it as a painter." The description for his UnionDocs seminar mentions "looking at the archive as a form of detritus," and Everson finds that process more to his liking. "Most of the stuff I find is like that," he says. Rebecca Baron, who teaches at CalArts, has been celebrated for her mesmerizing essay films that take as their subject the construction of history through images. "I have thought long and hard about how to work with archival materials, and my own thinking has kind of shifted," she admits. "My own thinking has in some ways become more—I hate to use the word—conservative." Baron doesn't mean to imply that she makes conventional archival documentaries, in which the found materials are marshaled in service of a filmmaker's larger historical argument. In fact, by "conservative," she means quite the opposite. In her engrossing film Detour de Force, which considers the process of mid-century "thoughtographer" Ted Serios, who claimed to transmit images from his own mind onto Polaroid film, Baron unspools long sequences of footage from 16mm documentation of Serios' creative sessions, combined with audio recordings of Serios speaking with a sympathetic psychiatrist. "In Detour de Force," Baron says, "I was so taken with the materials as such that I felt it was my task to amplify what I thought those materials were trying to say. So rather then bend them towards my own needs and message, I really wanted to serve the materials. So in a way I was less willing to interrupt them with my own agenda." Inspired by Serios' own process, "I started playing with this idea of authenticity and synchronization. But at the same time even though that's quite an overt gesture, an intervention on my part, I did feel that I wanted the audience to experience the materials in a similar way to how I experienced them when I first saw them in the archives. Many of my films are sort of documentaries of my own research process. My literal hand is there [on screen] to foreground the process of the research itself. "In my film The Idea of North," Baron continues, "there are these very minimal reenactments that are not so much to try to faithfully represent the past but to evoke the experience of digging through those bits of evidence. And I am really interested in how archives present us with this problem of the bits before they are narrativized. I am really interested in the fragments and comparing fragments against these grander narratives that we tell ourselves about what happened." Is Baron's work documentary? "I certainly make work that doesn't fall under the category of informational conventional documentary. But I am really interested in making films about things that have happened in the world, and the photographic evidence left behind. What I do with those bits of evidence—even that word I want to question." Like Courtney Stephens, Baron is fascinated by archival gaps—and she's also attuned to excesses. "There are things that don't fit. There are things that are in excess of the story we do and I am particularly interested in that aspect of archival research, [when] you look at an image and it actually tells you something else that is not easy to put into words." Bill Morrison wasn't a participant in the "Speculations in the Archive" seminar, but his work belongs in any conversation about the adventurous integration of archival footage. His most recent feature, Dawson City: Frozen Time, one of 2017's most critically acclaimed films, as well as the winner of the Best Editing prize at the 2017 IDA Documentary Awards, continues his career-long exploration of the poetics of decomposition. "I've been working with archival footage over 20 years now," says Morrison. "I've always chosen topics where the footage would play a major role—where the story and the narrative of the film was derived from the footage I was finding. Most documentarians are shopping for footage to illustrate their point." In many cases, Morrison is telling stories about archival collections. 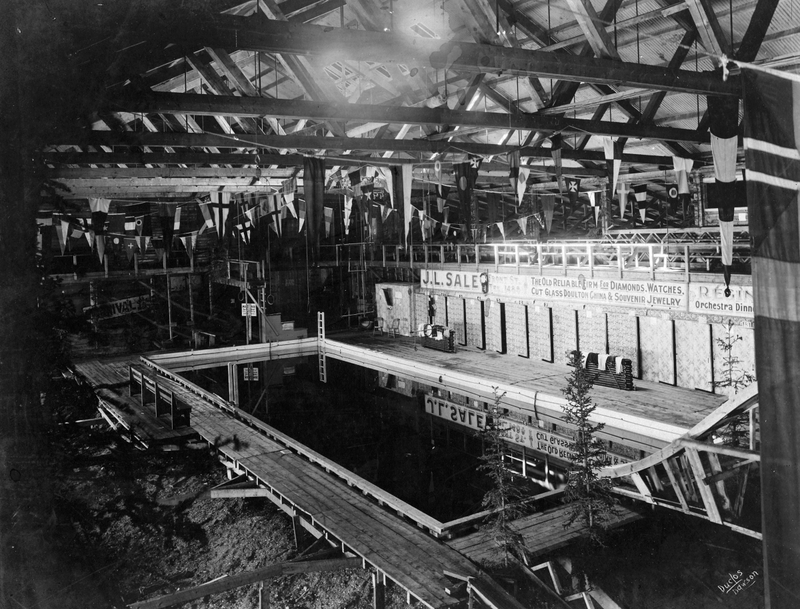 Dawson City stems from the discovery of over 500 silent-era nitrate film prints buried in the permafrost in a former Canadian Gold Rush town. Morrison tells the dramatic story of the film collection's burial and rediscovery mostly through the use of the archival films and newsreels unearthed from the ice. Set to a score by Sigur Ros collaborator Alex Somers, Dawson City is as emotionally stirring as it is historically revelatory. When asked whether the documentary category is meaningful to his work, Morrison responds, "Oh, absolutely. First of all, it's particularly meaningful because the footage that I'm finding is documentary—they are pieces of physical history that can be handled, that age. I've found that the documentary genre is somewhat more fluid and forgiving, that you come in with fewer expectations and preconceptions about what a film is when you're told that it's a documentary." Dispensing with preconceptions is crucial to Morrison's working process. "I root around in archives and find images that I'm attracted to, that I find compelling either visually or historically, and then working backwards and finding the story that would culminate in these images. I put a lot of faith in serendipity. But I think a lot of documentary filmmakers do." Morrison says that his approach to documentary was inspired by Alain Resnais' 1956 short Tout la memoire du monde, which explores the inner workings of Paris' Bibliotheque Nationale and the fickleness of human memory. Morrison was particularly taken with the idea that "You could make an analogy between a book being labeled, numbered, cataloged and archived, and therefore it could be seen again, as a sort of meta-religious act." On a process level, he learned that "by being cut-and-dry, and talking about the library itself, you could also talk about larger ways of viewing the world." Morrison's work, which includes 2002's Decasia, a compilation of segments from decaying silent films edited into a new narrative, is clearly focused as much on the material of archives as the information contained within. As such, the advent of digital archives has a limited effect on his process. When you dig around in online archives, he says, "You're dealing with something that's already been found, deemed worthy of scanning and then uploading and labeling. It's taken a certain degree of your own discovery out of the mix." But in a roundabout way, the existence of digital archives has improved his relationship with archivists. "It's much better than when I started in the field 20-some years ago," Morrison says. "Then, I would ask [archivists] if they had any decaying films, and they would say, 'God, no; we don't keep decaying films.' But now, with the advent of digital technology, fewer people are actually coming in to brick-and-mortar archives to do research. So my trips to an archive are always embraced by the archivists themselves. They're happy that someone wants to see what they're collecting." Though Morrison seems to appreciate the rare social aspect of the archival process, he happily likens his filmmaking work to "the solo monastic work of painting, and having control over the material that way." Indeed, if there's something that links the new practitioners of what might be called speculative archival filmmaking, it's the conviction that documentary can be the product of solitude, and that communion with inanimate materials can generate the most thrilling, immediate forms of direct cinema. Akiva Gottlieb is communications manager at IDA and associate editor of Documentary.